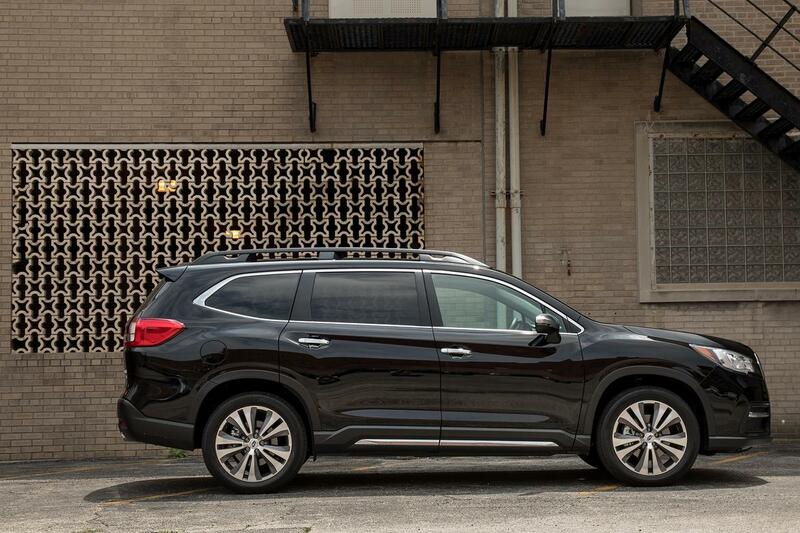 the national highway traffic safety administration has released its latest vehicle safety ratings, and the new 2019 subaru ascent suv is on the list with a maximum five-star overall rating. this is a separate achievement from the top safety pick plus award the ascent earned in september from the insurance institute for highway safety. nhtsa tests vehicles in three categories: front, side and rollover crash tests. the ascent scored five stars in both the front and side crash tests, and four stars in rollover testing. the federal agency also considers three safety features as part of the ratings: forward collision warning, automatic emergency braking and lane departure warning. the ascent has all three features as standard equipment, and it also includes as standard dynamic brake support, a feature that supplements driver-applied braking force as part of its crash avoidance system. the ascent is the sixth model-year 2019 subaru to earn a five-star rating; only the brz has not yet been rated. competitors to the ascent, such as the 2019 volkswagen atlas, honda pilot and kia sorento, are also rated at five stars overall. all three competitors earned the ratings in both front- and all-wheel-drive guises; the ascent has standard all-wheel drive. the sorento and pilot are top safety pick plus winners, as well.